Discussion in 'General Discussion' started by ALLIE WALLS, Jan 12, 2019. 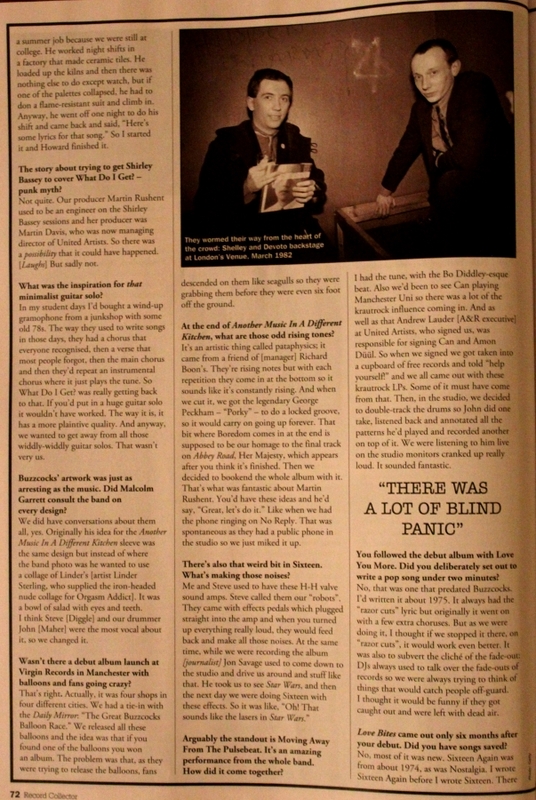 From this months record collector magazine. What did you think of Morrissey’s cover of You Say You Don’t Love Me? good luck reading that,where did I put my binoculars. Great interview but really sad to see someone speaking about the future and then passing away a week later. I’m hoping the Royal Albert Hall gig will go ahead as a tribute with guest singers. Maybe Morrissey could perform You say you don’t love me? good read surf,radio Luxemburg,that takes me back a bit. 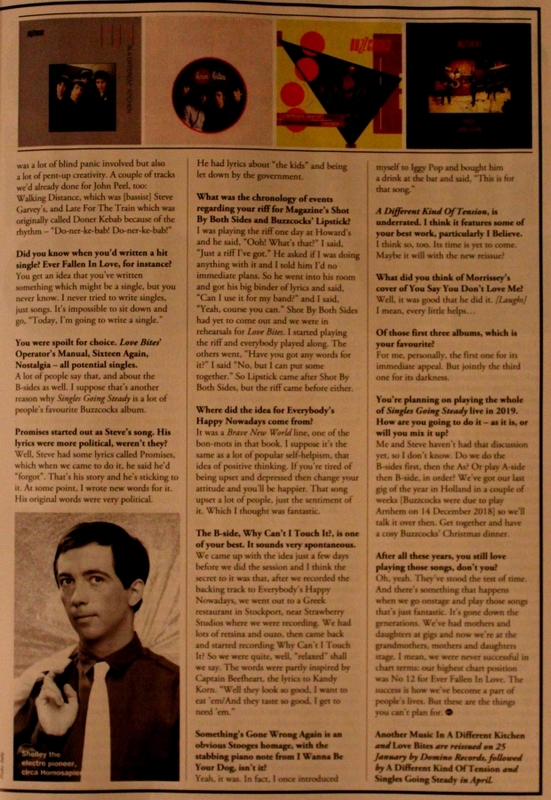 Pete Shelley loved Morrissey very much. The guitar effects on the original makes it nearly unlistenable. Morrissey saved that song. Wish he would have covered it years ago in studio! ...says someone who obviously prefers the Pat Boone version of whatever. Lol! Its a slow news week when 13 words about M makes the main page on here.Its like the wilderness years when the main page wouldn't change for weeks.still a good read though. 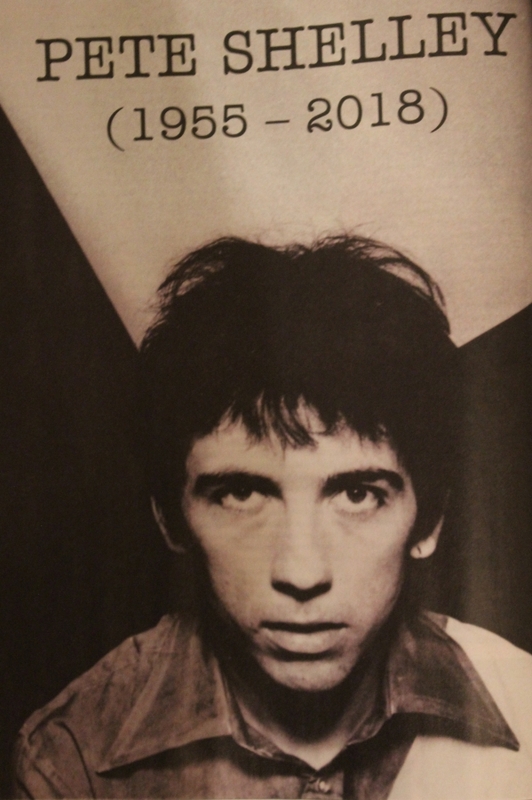 Just been confirmed that Buzzcocks Royal Albert Hall gig is going ahead as a celebration of Pete's life, with guest vocalists - brilliant news, wonder who the guests will be? Glad I got my standing tickets when the gig was first announced as there are only a few seated tickets left. 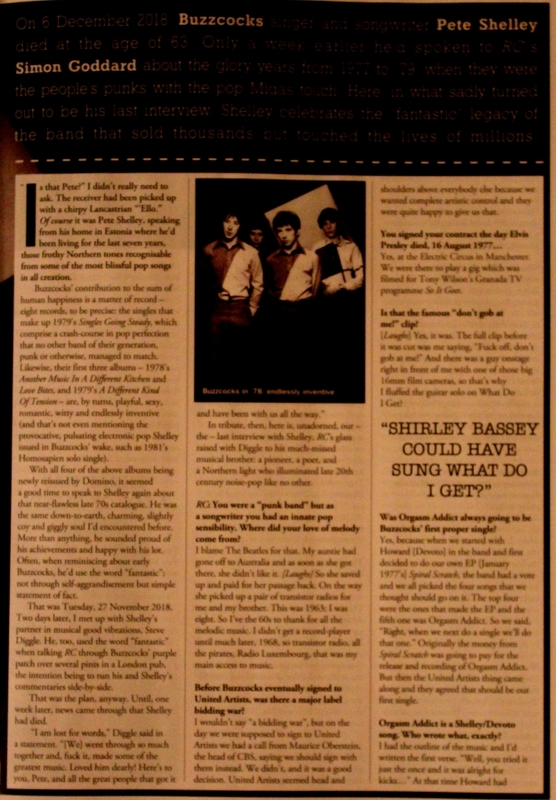 Interesting quote from their management - "We have been able to speak to the promoter who stated that within days of Pete’s death both he and the band had been approached by numerous musicians offering their services to enable to gig to go ahead; whilst we are unable to disclose which artists have been considered, we can confirm that they include vocalists from some of the largest bands around, bands who have had international hits, numerous chart topping albums and singles"